***FULLY INSPECTED AND SERVICED***, ***2 SETS OF KEYS***, ***LEATHER SEATING***, ***HEATED SEATS***, Comple Carfax SERVICE HISTORY, 4WD. Granite Crystal Metallic Clearcoat 2014 Jeep Grand Cherokee Clean CARFAX. Helping your Friends and Neighbors everyday Since 1989! Make YOUR Deal Today!!! We have been selling quality used cars since 1989 - FREE VEHICLE HISTORY REPORT AT www.gentrymotor.com Offering Full Auto service, repair, Auto and Boat detailing, and local car rental. We offer assistance with financing whether you have good credit, bad credit, or no credit. We take trade-ins. Call or email with any questions you may have! 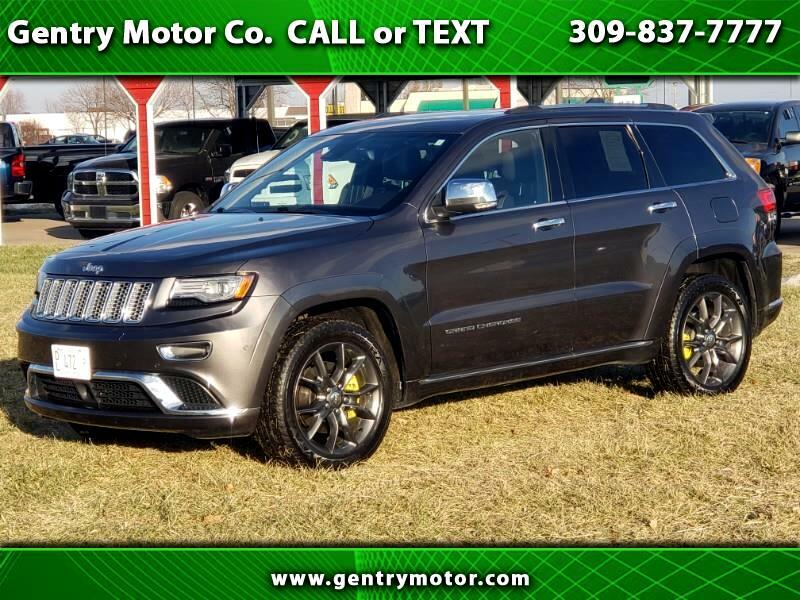 Thank you for stopping by www.gentrymotor.com CALL OR TEXT (309) 837-7777 TODAY! Every effort has been made to provide accurate information especially regarding prices and vehicle data, however we are human and mistakes do happen we recommend that you contact Gentry Motor Company in person to verify every detail. Estimated fuel economy has been obtained from www.fueleconomy.gov we obviously aren't scientist or mathematicians and can't possibly guarantee that this information is 100% accurate in every circumstance. In this regard, again, nothing is more helpful than hands on experience see our staff directly to schedule a test drive. ESTIMATE YOUR PAYMENT: Actual terms and rates will vary depending on customer credit quality and lendor terms. See store for details!